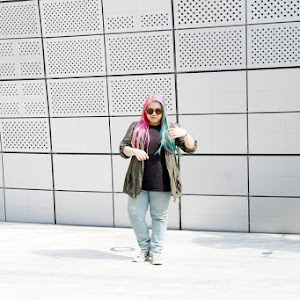 I know, it's not a relevant post since it's already October and this post supposed to be published on September however, as the owner of this blog (hehehe) I guess this is possible. And as a terrible blogger, I have no excuse for my two months of absence. I was simply lazy and I lost interest with the internet world. I even neglected all my social media platforms and I felt good. One of the best 2 months of my life, without the internet. Anyway, since I did pretty much nothing on July and August, so I decided to combined both monthly favourites because I did that before so why not do it again? 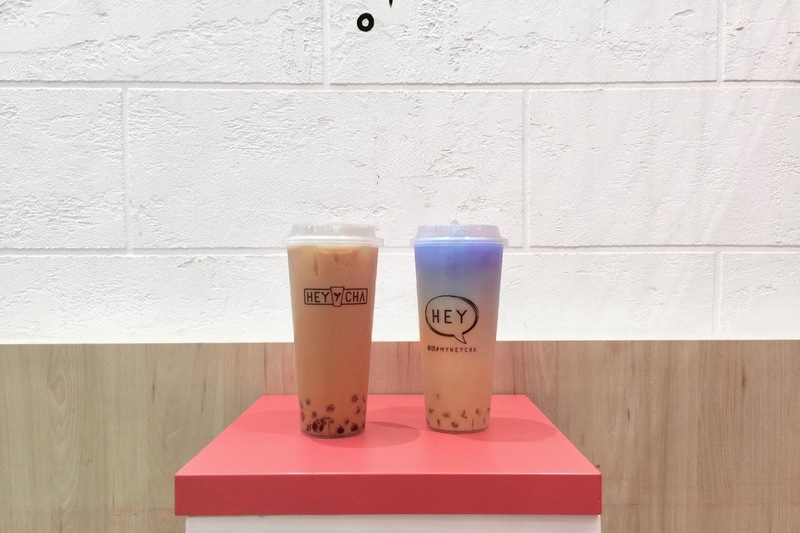 Probably one of my favourite bubble tea shop apart from Chatime or Gongcha because this is the only bubble shop that I know that sells not just one but two different type of drinks in one separate cup. I got a picture of it but I want to save it for later. I ordered the classic Milk Tea and it was so sweet! I love it! I like sweet milk tea rather than the bitter one. And my sister got the Blue something-something (I forgot the name haha) and my sister and it was not the best one. Tasted like plain water to me. Maybe you can ask for extra syrup pumps or something like Chatime. This is the event that my siblings has been going for the past 4 years. My whole family (yup, including my sister) is into vintage costumed vehicles. They know everything about it while I know like 10% of it hence, I didn't joined them for the past 4 years. This year my sister decided to bring me made this my first ever AOS experience and it was fun. It was a 2 days event. We paid RM15 for two days entrance fee. We didn't filled the ballot for the lucky draw event because we know what happened to the previous Triumph motorcycle winner so.. thanks but no thanks, I rather keep the tickets. 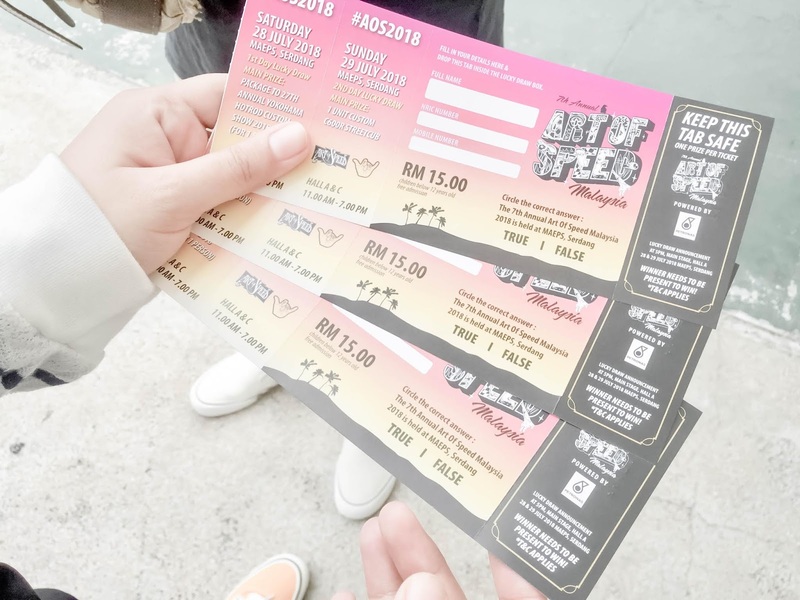 My best moment was meeting my fave Japanese rock band, Johnny Pandora, jamming and tried the Yokohama Twist with them and skanking (not really...) with Plague of Happiness and just meeting my friends and gathered with my siblings the whole day. An opportunity that doesn't come easily in our household lately, so we had fun. I took so many photos and videos. Can't wait to share it here. Me and my best friend need to have at least once or more breakfast date if time (or wallet) permitted. And last month I suggested my friend to try something new instead of the usual soufflé pancakes at our favourite coffee shop. I made her try my favourite hearty breakfast from The Owls Cafe but this time at One Space, the place is bigger than the one in Bukit Jalil. She had my fave Morning Daisy that consist of a straight-out-of-the-oven croissant, scrambled eggs with herbs, fresh salads and waffle fries and it was only RM17 for that ginormous plate. 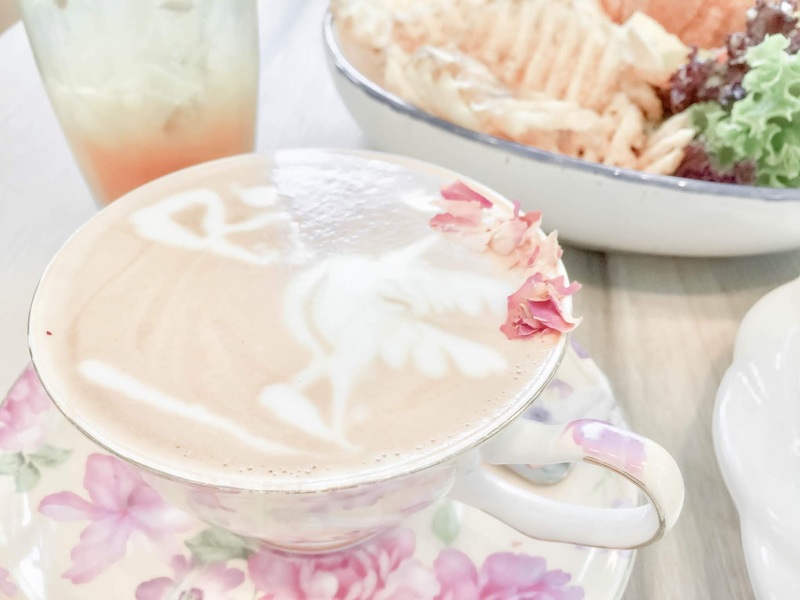 I wanted to try something new as well so I went with Rose Latte and my oh my, it was the sweetest latte I've ever had, with a hint of fragrant taste. Lovely! Would definitely have this again the next time we come here. I had this app called Lightroom since the first week I bought my laptop but I didn't know how to use it. Even the photo importing part was too tricky to me. I kept on using Photoshop's preset that I downloaded years ago. 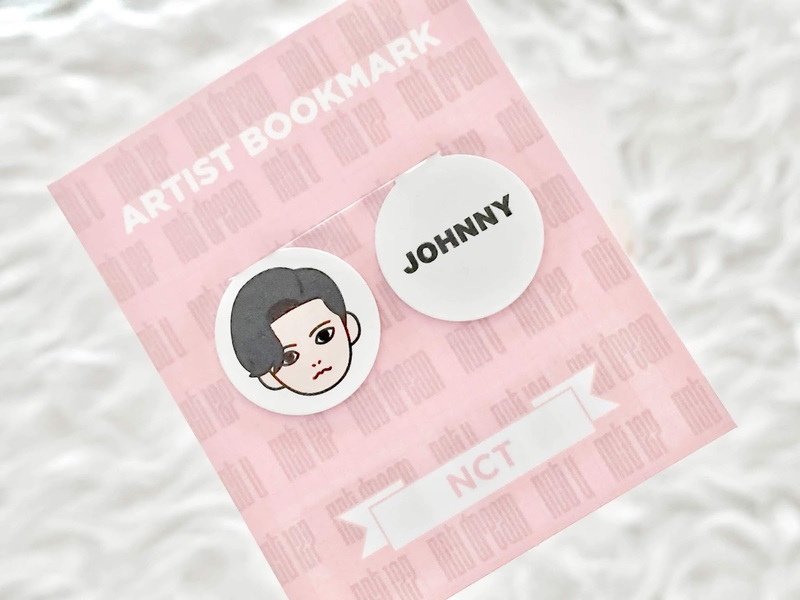 And on July 27th, a day before I went to AOS, I had a chat with one nice NCT fan from Thailand. She was pretty famous in doing kpop fanart. She was nice enough to teach me on how to use LR app and as a bonus, she gave me her own filter preset that she uses for all her kpop fantaken photos with a little note, "for your eyes only". 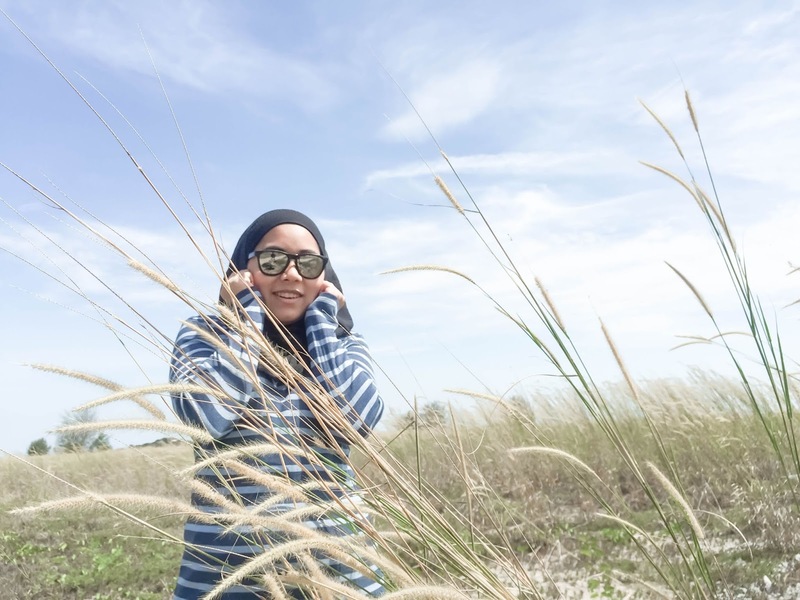 haha hence I hide all the details of the editing and I must say, I am impressed with her preset. In fact, I love it so much that I use it on all the pictures that I upload in this post. One thing for sure, this preset is just like the one in Photoshop, does saves a lot of time. Just import, applied then export and done! I shall play around with it so I could create my own presets too. 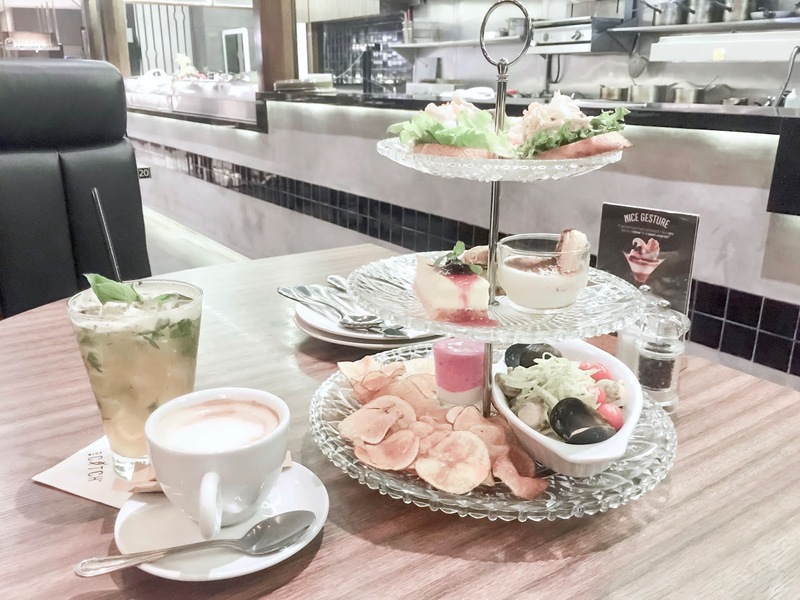 My friend texted me as soon as I came back from Malacca and she mentioned about having tea time together and I thought it would be a normal tea break like we usually did but she drove to Pavillion, KL and asked me to dress nicely and turned out she was planning to have this cute afternoon tea. The set up was a bit unorganised because the cakes should be at the very top so we started from the bottom, up and lastly the center. Overall it was a good experience and the food was so delicious, especially the scallop pasta. Some of you may know that I'm restarting my old hobby that was long buried since high school, which is bullet journaling. I stumbled upon an Instagram ad of a shop that sells bullet journaling necessities. The studio was pretty far from my house, but luckily I was in town and decided to drop by. As soon as I got inside, I didn't want to go home. 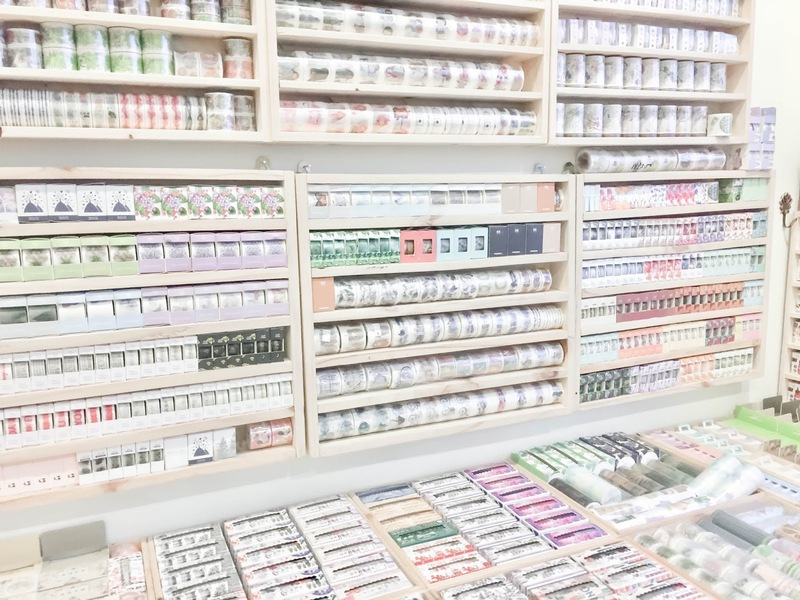 I was in bullet journal paradise. I ordered a few stuff prior to my visit but I ended up buying more than what I ordered. I can't wait to share what I bought (although I already post a set of photos on my Instastory highlight) plus I took a few more photos inside the studio. Would be a waste if I didn't share it here. This bookmark was originally not for sale (was that consider selling? Or was it gambling? because you have to pay in order to win..? hahaha). If some of you already went to Seoul and visited the SMTOWN COEX in Gangnam, on the 4th floor cafe, inside there's a play zone where you can win a lot of stuff from the Gacha machine. It has bookmark gacha, silicone band gacha, pin badge gacha and a lot more and they were all group coordinated. A few were mixed together. 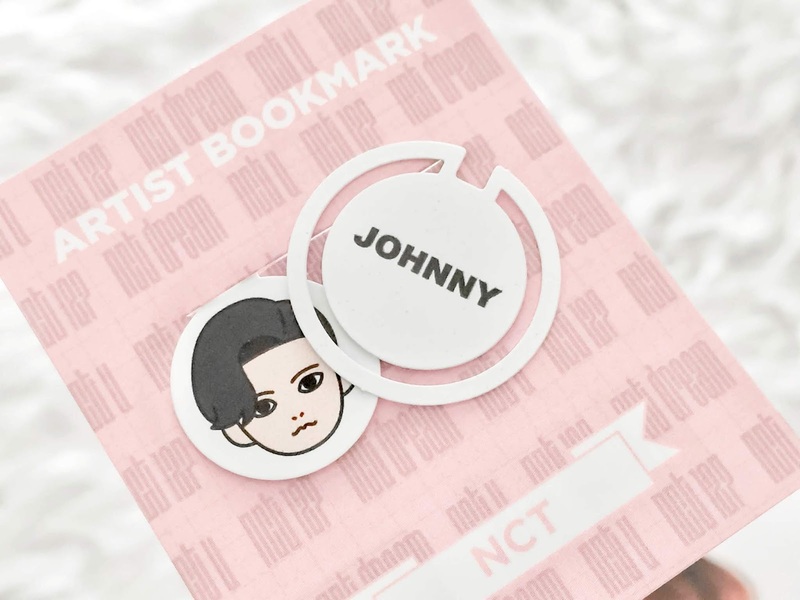 Anyways, someone was selling this for RM20 and I thought if I buy this, I don't have to go through disappointment or spending too much on one machine trying to get my bias' bookmark because I know the chances of me getting Johnny's bookmark (or anything related to him) is low. And it was the best impulsed purchased ever. It was much smaller than I thought but at least I got 2 of them. And I have been using it since. My sister planned this trip with me and her husband for our dad because our previous Malacca trip was too sudden and short, we couldn't really enjoy the city. This time my sister planned everything from A-Z. Despite not feeling well, my dad told me he had a good time and I can tell the way he literally eat everything and tagging along wherever we went to. And of course we had fun too even though I got sick the moment I got there but nevertheless, I really had fun. 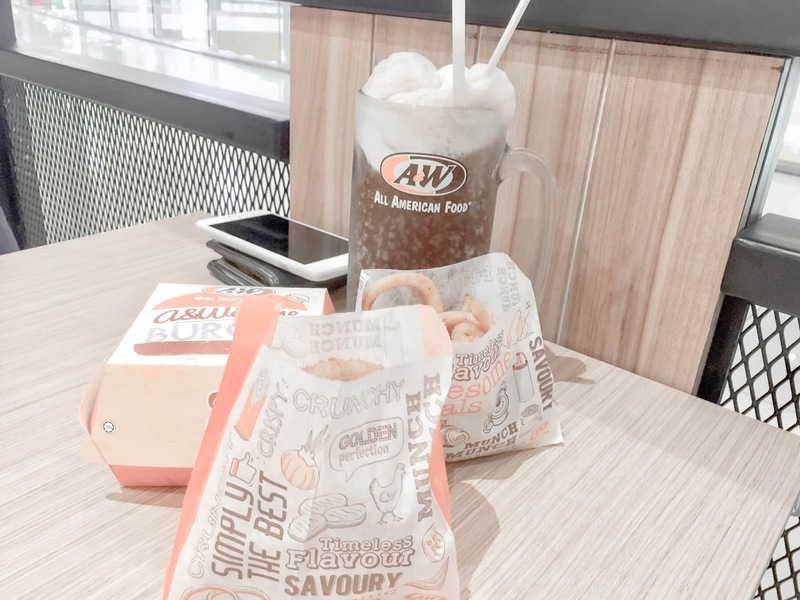 Since our fave childhood A&W (and probably the biggest one in KL) in Petaling Jaya was closed down for good, we got nowhere else to get our Mozza Burger fix. As soon as we found out that there will be a new outlet open near my house at IOI City Mall, we went a little crazy. My brother-in-law literally ordered almost everything. I ate like 3 burgers, 2 types of fries, a waffle and a large double scoop root beer float. Best day of my life! Trust me, you guys might wanna watch this dance play of We Go Up. This is probably NCT Dream last comeback with Mark. He's finally 'graduating' from this unit. Why? Because his age is no longer suitable for the Dream concept. Then Haechan will follow suit as well as the rest of the other members. Soon, there will be a whole new members for NCT Dream and Mark is the first to go. For this album, one of the song called Dear Dream and during Mark's part, I watched the recording and it was Mark was trying to expressed his wish, hopes and dreams for NCT Dream when he's no longer with them. You did great Mark. And as for the title track We Go Up, one of the best song from NCT Dream apart from My First and Last and Go. There's nothing for me to say about this song except (wanbyeoghae!). The intro and the verses sounds like typical k-ballad song but the beat drop during chorus changes everything. Addictive. This group is so underrated. I'm a fan of SF9 since the beginning but I haven't listen to their songs in a while. This song is by far the best song they ever made. Just listen to the chorus, you won't expect the beat drop just like IKON's Killing Me. Not really a heavy upbeat drop but.. ugh, just amazing. Apart from O Sole Mio and Watch Out, this is my ultimate fave song from them. So that's all for this post. Kind of long but I hope not too draggy and slow. 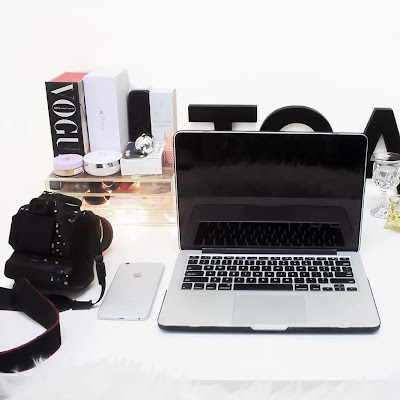 Currently writing for September's Favourite and I already schedule a post for this Friday. I hope everyone had a great day. 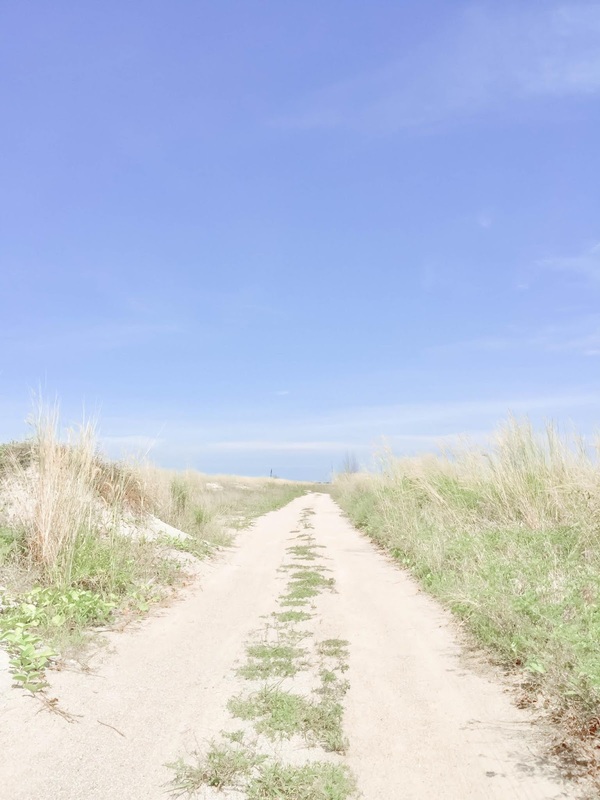 Thank you for reading, dropping by or just scrolling around my blog. 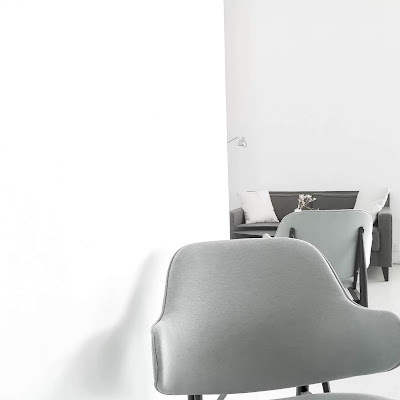 Ahh.. her studio is a dream! But one tip for you if you ever got the chance to visit her studio, when the security asked, tell them you came with Grab or a cab. Kalau tak memang lama lah kat bawah tu dia tanya macam2. Kinda susah sikit nak naik atas. yayyyyy finally a new post. I've been waiting for this for so long. No kidding. The part which I love the most will always be your photos. I love how you've edited 'em. It's gorgeous. ihiks. don't worry, they're all pretty to me.